Beijing has been trying to calm its bubbly real estate market with policies that divert investor funds into China's rental market. But the policy shift to increase the supply of rental housing has backfired, leaving most middle-class Chinese with a rapid increase in living expenses. The reason: the government's latest centrally planned initiative has had an unintended effect: a flood of property investors into the rental market has dramatically pushed up prices. This summer, rents in eleven major Chinese cities climbed by an average of over 20% Y/Y in July according to an August 22 report by Chinese newspaper 21st Century Business Herald, citing data from CityHouse.cn. The most significant increase did not occur in the capital of Beijing - the capital ranked sixth place among the eleven cities, with an increase of about 22%. Chengdu, the capital of southwestern China’s Sichuan Province, had the largest uptick, of more than 31%; followed by 30.7% for Guangzhou, a port city in southern China; and 30.5% for Shenzhen which borders on Hong Kong. The sudden spike in rental prices has placed a heavy burden for many middle- and low-income workers said Reuters. While President Xi Jinping promised to support these people, they are now forced to seek smaller homes and are relocating to less desirable neighborhoods because of housing affordability issues. Reuters said real estate investment firms are flushed with cash and have jumped into the rental market all at once "thanks" to the government's instruction. As a result, many of these companies have been aggressively acquiring or developing hundreds of thousands of rental homes in the past year, affording them oligopolistic pricing power. Here is the results: in 2017, Wang Zhilu, 23, rented a flat in a mid-tier Beijing neighborhood for 3,000 yuan ($438.17) per month. In less than 12 months, he now pays 4,500 yuan for a similar apartment down the street. That represents a near 50% increase in rent which Zhilu said caused him financial harm. Soaring rents across major Chinese cities is dangerous for the communist regime. Widespread public frustration is growing as the cost of living outpaces salary growth for many young people, which if history serves for any government, could trigger a severe social uprising, something that Beijing has always tried to avoid. Putting the "rent to income" ratio in context, 30% of middle- and or a low-income workers' salary is the upper extreme of what they should pay for rent on a per annum basis, leaving them the ability to cover other expenses. Once 30% is breached, financial stress starts to affect the monetary decisions of the working class, and usually results in social change. But the bigger take home is that Beijing's attempts to control the formerly overheating housing market - and drive speculators into rental properties - is another instance of government intervention in markets failing to generate the desired outcome. Ziroom, which is owned by Zuo Hui, chairman of the Chinese real estate broker Lianjia, raised 4 billion yuan ($582 million) in January from investors including Tencent Holdings, Warburg Pincus and Sequoia Capital. 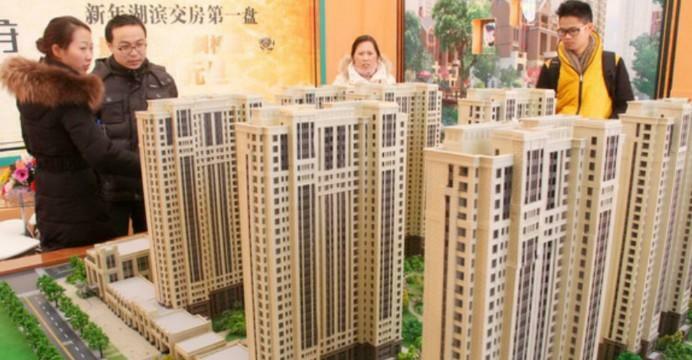 GIC Private Limited, a sovereign wealth fund established by the Government of Singapore, launched a 4.3 billion yuan ($625 million) venture with Nova Property Investment in May to acquire rental apartments in major Chinese cities. Tiger Global Management, an American hedge fund and family office, led a $70 million financing round in June for Danke, a Beijing-based rental flat operator. Reuters said Ziroom had controlled about half a million rooms in China and commanded a market share of 30% at the end of 2017. Xiangyu, a rental firm owned by 5I5J, was a close second with a 27 percent share. Approximately 1.66 million rooms were owned or managed by rental companies and developers at the end of last year. Ziroom and Xiangyu typically buy units from property owners. They then quickly renovate the properties and rent them out at a premium, which some experts tell Reuters its a “forced upgrade” for tenants. “These companies are very aggressive in securing flats this year,” said Yu Runze, who leased his two-bedroom Beijing apartment to Ziroom for 7,800 yuan a month in May after rejecting an offer from Xiangyu. 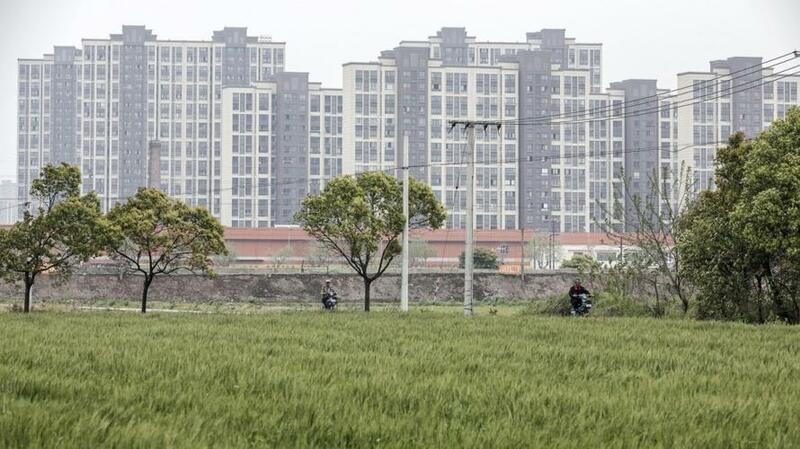 The rent that Xiangyu charges is often double the price that it pays to flat owners for their properties, said Zhang Yongjing, a former property agent with 5I5J in northern Shanxi province’s capital, Taiyuan. Meanwhile, even though rental companies have been widely accused of driving up prices, a lack of regulations means that government overseers have limited mobility to act on pricing or enforce rules. A housing ministry source told Reuters that the government does not have an official rent tracking system, though it is “closely monitoring the situation”. According to Hu Jinghui, a former vice president at 5I5J, there are about a million homes available for rent in Beijing, but homeowners have left them empty and decided to speculate on market trends. As one would expect, bubble growth in a sector with limited government oversight has created unexpected financial risks. Dingjia, a Hangzhou-based rental company, went bankrupt in August due to what its chief executive called an aggressive market expansion. Meanwhile, Beijing appears to remain blind to the risks: a source at one of China's top banks told Reuters they had not received any guidance to tighten financing to the sector. Sources close to the government, who also requested anonymity, said that they were unaware of any major change in policy despite the rising risks. And that is why Chinese rents will only keep rising until some breaking point is finally reached.